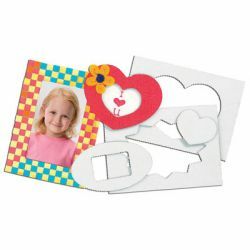 Large and small frames die-cut out of corrugated card. Great for collage projects. Excellent value. Up to 7" x 7". Includes idea guide. 24/pkg.